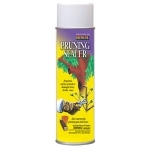 A superior protective seal for pruned, grafted or damaged trees, roses and shrubs. Contains an antiseptic and a sealant to kill and keep out infections and insects. Won&#39;t burn or run. Also can be used to waterproof planting pots, wooden tubs, canvas. Brown to blend with tree bark. 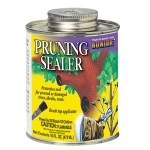 A superior Protective Seal for pruned, grafted or damaged trees, roses or shrubs. Contains an Antiseptic and a Sealant to kill and keep out infections and insects. Won?t burn or run. Also can be used to waterproof planting pots, wooden tubs, canvas. Brown to blend with tree bark. A natural, organic, nontoxic anti-transparent/anti-dessicant. Protects the plant from moisture loss, drying out, winter kill, summer scald, wind burn, salt injury, drought and transplant shock. PennMulch is developed and patented by Penn State University, PennMulch is made from recycled newsprint and super absorbent polymers. The fiber pellets expand and give you moisture right where you need it: at the seed level. Corrects calcium deficiency. Controls blossom end rot on tomatoes, other vegetables. Apply to developing fruit and foliage after periods of heavy rain or rapid growth. 4 tbsp./gal. Wilt-Pruf® is a natural pine oil emulsion that is NON-HAZARDOUS, ORGANIC, AND BIODEGRADABLE. It is not damaged by freezing during storage, it has an indefinite shelf life, and is non-toxic to eyes and skin. 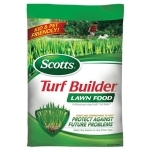 Get your lawn off to a healthy start with Scotts Turf Builder Lawn Food. Turf Builder builds strong, deep roots, feeds and thickens to crowd out weeds, and protects against heat and drought. Water Smart technology improves your lawn's ability to absorb water and nutrients. Turf Builder is completely kid and pet friendly and can be applied any season to any grass type.